I'm told it will air in September so I'll let you know when it gets closer to the time. Otherwise, I'm working on a business plan, and doing lots of yoga which has really helped my carpel tunnel syndrome. You can follow how that's going here. This series of classes will start with altering pants, which you will bring to the first session. 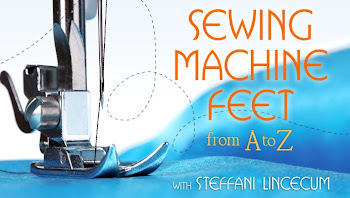 You will need your sewing machine in working order, and will receive a class supply list after you register. This two hour class is designed for adults with a sewing machine who don’t recall what their machine can do, or who are new to sewing. 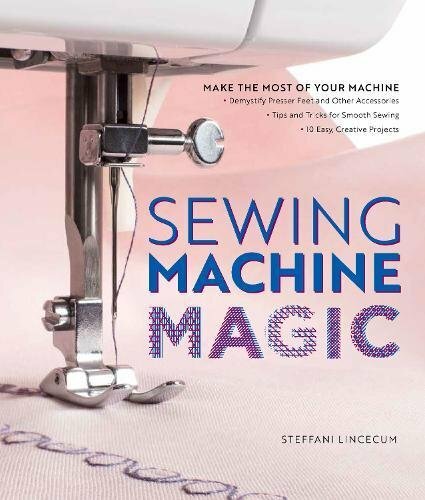 You will work with your machine and make a journal cover and some accessories for sewing. You will receive a class supply list after you register. Learn about handling sheer fabrics, hemming chiffon, and French seams in this 1.5 hour specialty techniques class. This class is offered Tuesday February 1st from 6 – 7:30. Course fee is $25 and you will receive a supplies list after registering. Find out the secrets to making your jeans look like they came off the rack perfectly for you! You bring your machine and jeans that need hemming and we will provide you with the special tools and know-how to hem all your jeans perfectly. The Jean Hem Lab is offered Thursday February 10th from 6 – 8 pm. Course fee is $45 and includes the hemming kit. You will receive your supplies list after registering. Commit to finishing those Un-Finished Objects we all would like to just see completed. Have you hit a stumbling block? Or, are you just not making the time to work on the project? Here’s your chance to get expert advice and take the time to focus on your UFO! Course fee is $20 and you will decide which project to focus on. Using the Amy Butler Liverpool Shirt Pattern you will make a shirt dress. 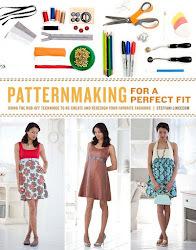 Enjoy expert assistance, especially if you have not braved clothing patterns before! This 6 hour class will allow an hour for lunch break. Course fee is $45 – you will need to purchase the pattern and sufficient materials and notions to complete your dress. Your supply list will be provided after registering. Please feel free to forward this to your friends! Also, please let us know if there are classes that you are looking for and don't see here! 608-831-3770 or e mail us at eneedle@hotmail.com to register today! If you are interested in these courses, or other courses, please e mail us and let us know what days and times work best for you, or what classes you would like to see offered.